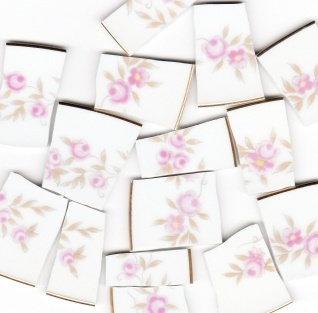 25 tiles from Fine China Japan plates. Pink roses, pink flowers and taupe leaves, gold rim on white china. All rim tiles.